A dead sorcerer in the underworld named Henry Winslow, a contemporary of Aleister Crowley and former member of The Golden Dawn, steals a spell from the Forbidden Texts in order to fulfill the prophecy of the Thrice Born. He divides himself into three aspects and goes back in time to steal the Emerald Tablets of Thoth from the Great Pyramid of Giza. He wants true immortality and to change the course of history. Jonathan Shade's old friend, Sharon, shows up with the master of time, Chronos, to send Jonathan and his team into the past to find and kill Winslow. Jonathan and Kelly arrive in Egypt during the reign of King Tutankhamun. As they appear from nothing, they are mistaken for gods, but when Tut is murdered during a chariot race, things get out of control. At stake is, well, everything. Because if Winslow succeeds, the world as we know it will no longer exist, wiped from the sands of time. This is number 4 of the Jonathan Shade books. This one does not disappoint. Jonathan and is crew have been recruited to go back in time to save the world . The guys are split up into three different time periods in order to accomplish this feat. Chronos and Sharon, yes Sharon, recruit them. However, all my not be as it seems. The wizard they are after has split himself into three. He after objects that will make him powerful. Chronos says if he accomplishes this, they will cease exist. So Jonathan and Kelly go to ancient Eygpt to kill the wizard before he can get the objects needed. They get to meet and interact with King Tut. But of course things do not go as plan. After speaking to wizard, they see possible betrayal by Sharon and Chronos. Brand and Esther have to go to the 1870, the year the wizard is born and Arana goes to the 1920's the time of the wizards death. After Kelly and Jonathan kill the wizard in ancient times, they are supposed to go to Brands time after they kill that wizard then on to the 1920's to finish the deed. Of course nothing is ever simple. Each one encounters their on problems within the time periods they have been assigned. After Jonathan and Kelly finishes their mission, not the way they thought they would, they go to Brands time period, however something has changed with Brand and Esther, not for the good. What will happen next? That is absolutely the truth. The book ends here and is continued in the next. Boy this book had me on the edge of my seat waiting to see what would happen next. I can't wait till the next book. I recommend series. It is fantastic. I received this book free for an honest review but it would be well worth the credit or payment. A good followup to the previous book. We see things from multiple characters and it only draws you in further. The ending in this particular one is a cliffhanger, though you already know what's happening (While some of the character's do not.) Some odd choices, but overall, very well written. 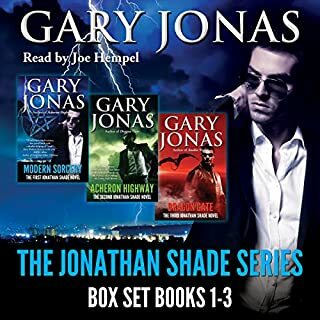 Another enjoyable story in the Jonathan Shade series. It can be read as a stand-a-lone but you will get much more from it if you read the books in order as there are threads that do continued to build from one book to the next. Shade is a well developed, appealing character; he is funny, sarcastic but he is true to his friends and has a strength that shines. The secondary characters are also appealing and you can not help but grow fond of them as you follow them all through the various dangerous situations that Shade seems to manage to get into. In this book the friends are split up and sent to different eras in order to stop a master wizard but things are not as simple as they thought or go as straightforward as planned. I think it is the humour I like most about this series and the narrator portrays that sarcasm and humour very well. He gives individual voices to the characters and his inflection brings out emotions well, I especially like how he does Kelly's accent, it shows her personality perfectly. Humour, suspense, great characters and interesting snippets of history draw you along and keeps you listening but it does have a cliffhanger at the end. 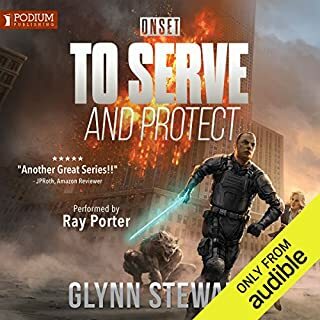 I'm not really a lover of cliffhangers (hence the 4* rating) but I can put up with them as long as it isn't forever until the next audiobook comes out. 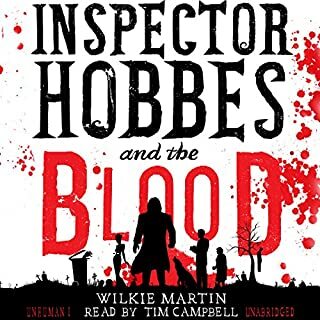 Having said that, this is still a really enjoyable, entertaining story and I will defiantly listen to the next audiobook when it is released. I received the audiobook in exchange for my honest opinion. Note: This is Book 4 in the series and I recommend reading the previous books as there are major things that happened in previous stories that affect characters’s decisions in this book. Private investigator Jonathan Shade starts his day off having a serious argument with a witch and the ghost of her son. Things only get worse when Sharon and Chronos show up at Kelly’s dojo and force Jonathan and his friends into taking care of a little problem for them. Henry Winslow, a powerful magician, is attempting to become immortal. To do so, he split himself into three aspects and placed each one at a different time and place in the past. Now Jonathan and his friends must travel back in time and kill each aspect. 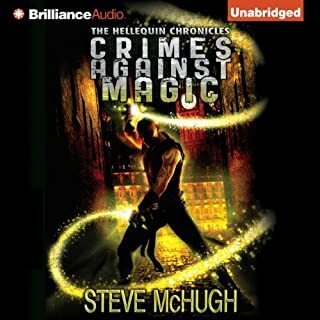 This was a fun addition to this urban fantasy series that I have enjoyed so much. Jonathan has done a smidge of time travel before (a fact that he keeps hidden from his friends) but this time he and Kelly (a magically constructed warrior) are sent back into ancient Egypt to find Winslow and kill him. Meanwhile, Brand (also a magically constructed warrior) and Esther (a ghost who is tied to these old typewriter keys) go back to the 1870s. Reina (who isn’t of this world and has some special abilities) heads to the 1920s. Let me get my one criticism out of the way. We have three main ladies in this series now: Kelly, Esther, and Reina. For some reason, the author chose to write them all as being in love with Jonathan and that really comes to the forefront in this book. It’s silly and not really necessary for the plot. Plus, there are other interesting men, so why not spread the joy? OK, back to the good stuff. Most of the book is spent on Jonathan and Kelly in ancient Egypt. I really enjoyed the scenes where everyone was getting ready for their trip and had to dress the part. Reina got a flapper dress plus some practical wear. Brand had some rough yet really durable clothes. Meanwhile, Kelly and Jonathan were given revealing (by today’s standards) clothing that was the norm for King Tut’s time period. Eventually, Kelly and Jonathan rebel and a compromise (sort of) is made. In the end, it didn’t matter much because the two of them materialized in front of people and therefore, folks thought they must be deities. We get a little bit of time with Brand and Esther in the 1870s. They soon land in some serious trouble with Priscilla and Edward that they weren’t expecting. Brand used to be a very strong warrior, but at the end of the previous book, things changed for him. Now he finds himself in a next to helpless position but I think he’s too stubborn (or dense) to notice. He keeps on thinking, bidding his time, quietly flexing those muscles. Meanwhile, Reina goes to the 1920s. She doesn’t know much about this time period and she’s never been to New York city. We only get a smidge of her story and she swiftly finds herself in trouble. I was surprised at how quickly she was subdued and also a bit disappointed. Not much is being done with this character that has so much potential. It’s a swift moving plot with fun characters and I like that Kelly and Jonathan continue to be at the heart of the story. I also like that things between Jonathan and Sharon are unresolved. Her previous betrayal still rankles him (as it should!) and I look forward to seeing how the author deals with that. The ending was great! I loved the last big fight scene and how things in Egypt resolved themselves. This book does leave us on a cliff hanger, so I’m really looking forward to having Book 5 in audio. I received a copy at no cost from the narrator in exchange for an honest review. The Narration: Joe Hempel continues to be the perfect Jonathan Shade. Also, he’s the perfect Kelly Chan, with her light Chinese accent. He really pulls it off well. I also liked his ‘dumb jock’ voice for Brand (which suits his humor and character well) and I continue to like his light Southern drawl for Esther. All around, it’s a great performance. Okay, so I've loved this series so far. Each book until this one has ended successfully. THIS book.... just be warned there's a bit of a cliffhanger at the end. Superb listening... awesome plot... characters going places I've SOOOOOO wanted them to go!!! Just, thank god I have the next book already in the queue. You should, too, if you're reading this as if you're trying to decide what to read next. Love, love, love this series! And, before I forget, they introduced actual time travel here! One of my favorite plot devices ever! What made the experience of listening to Anubis Nights the most enjoyable? 4 star story, 5 star narration- love this series! I am a huge fan of the this series so far, and I bought this one as soon as I could after seeing it was released in audio. That being said, this book was my least favorite of the four books I've listened to. I'm not great with history, and I feel like the setting wasn't the best for me. However, I definitely still enjoyed the story, and seeing what our awesome cast of characters have gotten into this time. The characters are all split up in different time periods during most of the book, so we get to see things from a few different perspectives. Some very interesting romantic relationships occur, and I enjoyed one in particular but I don't want to spoil the story for anyone else. 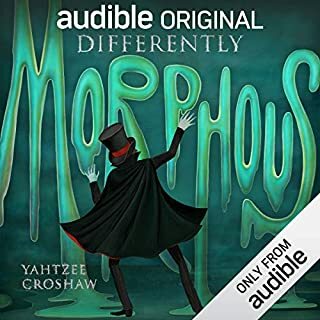 Joe Hempel provided the narration for the audiobook version again and as always, was completely perfect. If you have never heard this man's voicing before, you are missing out! I love the collaboration of Joe and the author, Gary Jonas, and I hope they continue to work together many times in the future! The book ended with an awesome cliffhanger, and I'm dying to know what will happen next. I highly recommend this series, and the audiobook version in particular. Go buy the first book in the series now, you will not regret it! The fourth book in the series. Jonathan Shade and his friends, Kelly, Brandon and Rayna are transporting into different realms of the past. Jonathan & Kelly end up in Ancient Egypt chasing Henry Winslow from the under-world. While I did not like the way the author ended this book I knew from the beginning that it would be broken into multiple books in the series. I enjoyed this one as much as I did book 3 and look forward to more in the series. If you are a fan of pulp detective style sci-fi like the Dresden Files, you will probably enjoy the Jonathan Shade series. The characters are likable, the plots are often full of twists and turns you don't see coming, and there is always a lot of smack talk (in a fun way). The narrator is good but not great, and some of the voices aren't quite natural for the characters, but that is a minor complaint. Overall it is very easy to immerse yourself in the story and just enjoy yourself. The main thing I love about this series is how interactive the author is with his fans and how quickly he churns out the books. If you follow him on amazon he will contact you whenever a new book comes out (seems to be every 4-5 months)! He was also kind enough to send out some free copies of the audiobook to fans like myself. All of those factors combined to make me a fan for life. Do yourself a favor and start with the first book in the series and see what you think. You won't regret it. Magic in the past as Jonathan works. Joe Hempel is the voice of Jonathan Shade as he returns in this fourth novel. He feels to really be Jonathan to me with his emotion, sarcasm, and more that hits the mark with Jonathan's words. Joe's audio is clear and flawless to my ears. Not much more I can say but I enjoy his narration of Jonathan. I like that we start with the characters where they are and how they feel now. Terrible things have happened to a few characters in the end of the last book, and they are dealing with the results. In seeing them now we also get a reminder of what happened, and how horrible it was for them. Jonathan is definitely back to himself and moved through much of his concerns in the last book. I have to smile when the crew act up together. They all have an individual sense of humor that they all thrive off of, bringing more out of each person. When Sharon tries to explain about Henry Winslow they frustrate her with their wandering focus and jokes. But it's funny 'watching' them act as kids at this moment but know very well they are understanding and will get the job done when time comes. This novel is in a different format from the previous books. We get POV from different characters - Jonathan, Kelly, Brand, and Rayna. They are in different areas and times in the world looking for our man who's in three aspects, this format lets us see what's happening in those places until they reunite. There is a lot of story of the different characters in their time, waiting for the others to arrive. All find troubles they need to struggle through, and stay alive, along with personal struggles too. I enjoyed the journey through time with Jonathan and friends. Jonathan and Kelly are in Egypt, Brand with Esther in 1870's, and Rayna in 1929. We start in Egypt and meet King Tutt. Cool! I really started to worry that things would not work out or come to the end I was expecting. Gary is known for this in his previous books. So when I started to get nervous, I was also getting excited to see his twist to the ending ~ something Gary does not let me down at. The ending comes at us fast, and we are left on a bit of a cliffhanger here. The overall missions are not completed in this book and it leaves you looking for the next book (which is out in ebook and print). We do get through Jonathan's time frame completely though. Oh, I'm waiting for the next book in audio, even though the ebook is out... hmm... maybe I'll get the ebook? lol. I will be looking for the rest of the books! Love this series. The books are easy to listen to, my only criticism is this book felt too short. It isn't it just a good listen and pace is kept going through every chapter. definitely going to listen to the next instalment. "Because dead people don't get up and walk ..."
What did you like most about Anubis Nights? Poor Jonathan Shade: for the son of wizards without any magic of his own (other than being impervious to the magic of others), he does seem to find himself having to save the world rather frequently. This time he and his companions must go back in time to stop another dead wizard from gaining immortality and changing everything as they know it. And not just once, but three times. This book is obviously the precursor of a series within the series (this is book four) as only part of the task is here attempted, with Shade and the fearsome fighter Kelly being transported back to Ancient Egypt in search of the villainous Harry Winslow. As in book three, the story is told from the alternating perspectives of the protagonists, which not only drives the story forward but adds extra insight into the characters themselves. Although mostly concentrating on Kelly and Jonathan, the rest of the gang - Esther, Brant and Rayna, - also make welcome appearances and we learn some especially I interesting details about Esther's past which are sure to resonate in later books. 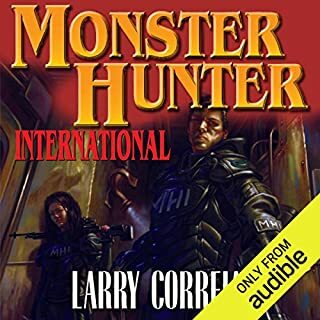 As always, the narration is superb, with Joe Hempel's adroit voicings of each protagonist such that he becomes each character he assumes at the time. 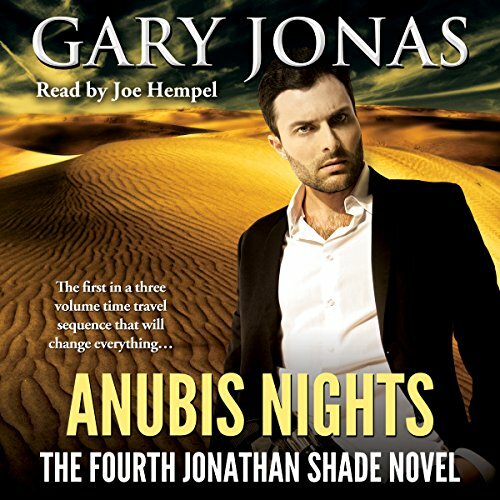 I was fortunate in being gifted a complimentary copy of Anubis Nights, via Audiobook Boom, in exchange for an honest review. My thanks as this is a fun book in a very enjoyable series, with great characters, fast paced action, quirky situations and comedy, too. Best if read in series sequence, though not totally essential. I am looking forward to book five.